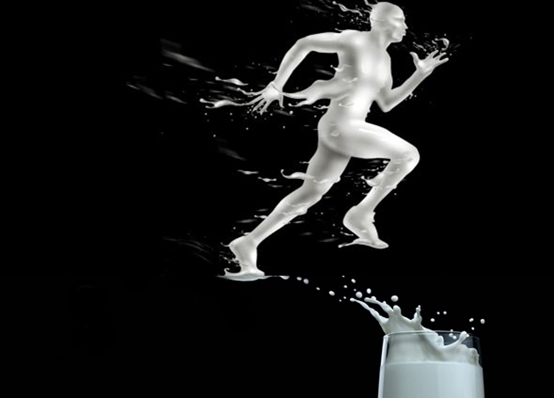 Raw Milk - Most Effective Sports Training and Recovery Drink! Raw Milk is by far the most effective and nutritious drink for athletes for training and recovery. Raw (unpasteurized) milk is more nutritious than pasteurized milk as some of the nurtients in raw milk are killed or reduced during the pasteurization process. All other sports drinks are gimmicks! All the other sports drink contain some of the following: (i) high fructose corn syrup or refined sugar which are merely empty, dehydrating calories, (ii) soy protein which reduces testosterone production in men, (iii) synthetic 'vitamins' which are not fully absorbed by the body, (iv) carbonation, which limit calcium absorption, (v) caffeine, which is dehydrating, and (vi) possibly harmful food coloring. Even chocolate milk, although it tastes great, lacks the nutrient punch of raw milk and can be dehydrating due to added high fructose corn syrup and caffeine. Hydration. Raw milk is 87% water. Consistent proper hydration is essential for athletic performance during training, recovery and racing. Vitamins. Raw milk contains every vitamin known to man. Electrolytes. Raw milk contains all the electrolytes - potassium, sodium, magnesium, calcium and chloride. Electrolytes balance are essential for peak athletic performance and injury prevention. See Hydration and Electrolytes - Impact on Athletic Performance. 100% Bioavailable. All the nutrients contained in raw milk are 100% bioavailable. In contrast, most nutrient supplements have limited or low absorption percentages and, as with all supplements, have toxicity considerations and may be harmful over long term use. Quick Absorption. Raw milk contains enzymes and is designed for quick and easy absorption of nutrients into the body. Many of these enzymes are killed off during pasteurization. For instance, we talked above about how the enzyme Lactase is included in raw milk for the purpose of quickly digesting Lactose into Glucose. Also, for instance, raw milk contains the fats necessary for the quick absorption of the fat soluble vitamins (Vitamins A, D, E and K) and water for the quick absorption of the water soluble vitamins (B-Complex Vitamins and Vitamin C). Protein. Raw milk contains all 22 amino acids, including all 8 essential amino acids all of which are 100% bio available. Mineral Rich. Raw milk contains numerous minerals, including iron, zinc, selenium, iodine, phosphorous, and more, in addition to the minerals listed above under Electrolytes. Red Blood Cell Production. Raw milk contains the key ingredients (Iron, Folate, Vitamin B12) necessary to produce red blood cells. Our body produces on average 3 million red blood cells daily. Every day we need Iron, Folate and Vitamin B12 to produce red blood cells, which carry oxygen to all our cells. Muscle Oxygen Consumption and Muscle Recovery. Raw milk is high in Omega-3 fatty acids. 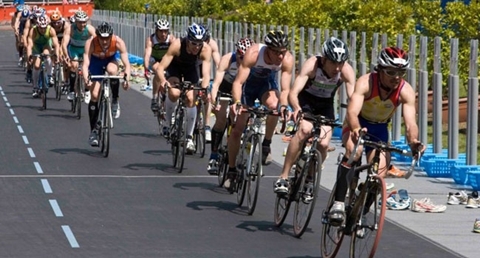 Significant to athletes, especially endurance swimmers, runners, cyclists and triathletes, Omega-3 fatty acids are associated with (i) increased efficiency of muscle oxygen consumption and (ii) resistance to muscle fatigue. Omega-3 fatty acids promote resting oxygen consumption to accelerate recovery. Healthy Fats. Raw milk contains healthy energy laden fats and enzymes which help digest fats. These fat digesting enzumes contained in raw milk are destroyed during the pasteurization process. These fats are necessasry to metabolize proteins and calcium, and are a primary energy source. Strong Bones and Muscle. Raw milk is rich in calcium needed for bone and muscle tissue development and repair. Note: Raw Milk should be kept refrigerated! This article was inspired by Tommy and Carolyn Adkins owners of Tucker Adkins Dairy in York, South Carolina, producers of the best tasting Raw Milk produced from their very well cared for Guernsey cows.